Three healthcare entrepreneurs have secured planning go-ahead for the first stage of a new healthcare hub to be built in Sheffield. Ray Boulger, Julia Leahy and Toria Chan from STEPS Rehabilitation Limited have been granted planning permission to build a state of the art neurological and orthopaedic rehabilitation and recovery centre on part of the site of the former Jacobs Manufacturing Company premises off Abbeydale Road South. The purpose-built development, which will offer 23 beds and feature a rehabilitation gym, hydrotherapy pool and cafe, is expected to create 60 new, permanent full time equivalent jobs, by next summer. Ray Boulger, Chairman of STEPS Rehabilitation Ltd, said “Our research has shown a strong need for dedicated rehabilitation services for working aged adults who have suffered neurological trauma. Wake Smith director Lisa Davison guided STEPS Rehabilitation Limited through specific healthcare tax issues and the formation of a development vehicle and structure to buy land at Troutbeck Road, off Abbeydale Road South. STEPS was successful in securing a substantial grant from the Regional Growth Fund, administered by Sheffield City Council, to help create the new employment opportunities. The development will form the first part of a specialist healthcare and retirement hub which is hoped to finally include a retirement village, doctors’ surgery, pharmacy, an 80-bed nursing care home, dementia care facilities, 31 sheltered apartments for the over 65s and a special needs independent living unit. 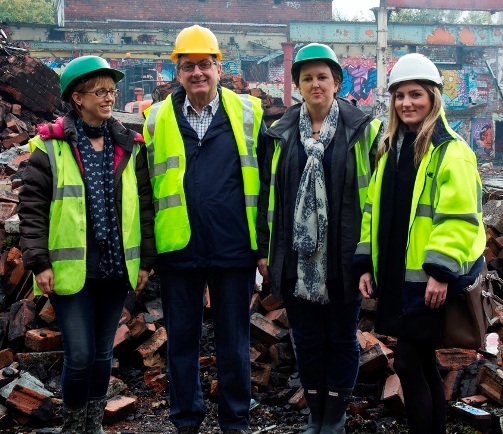 The derelict site has been unused for the last 13 years and the agreement for STEPS’ project sees the start of a new future for the 3.4 acre plot. Sheffield-based chartered accountants Hawsons also worked with Wake Smith on the project playing a key role in creating a comprehensive business plan and supporting financial forecasts, together with assisting in the successful RGF application and an effective operating structure. Work has now begun on demolition of the remaining steelwork on site and will undergo remedial work, access and service work and landscaping to bring the site into use.